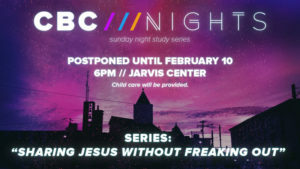 Plan to attend our upcoming CBC Nights series beginning on Sunday, February 10, at 6PM! The three-week series will be based on the study "Sharing Jesus Without Freaking Out." 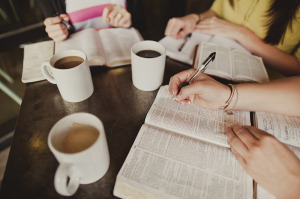 The content will be practical and will help equip you to better share your faith. Childcare will be provided.